PP aluminium powders are extremely brilliant, polished leafing pigments in the particle-size range of approximately 10-20 µm. They are used for decorative and industrial coatings, as well as for the coloring of plastics. The relevant safety regulations must be adhered to when using aluminium powders. Non-leafing aluminium pastes, containing white spirit and aromatic solvents. An extra-coarse Silverdollar pigment in the range of approximately 24-75 µm (d50 value) for extremely brilliant, high-sparkle effects. Non-leafing Cornflake aluminium pastes, containing white spirit and aromatic solvents, in the range of approximately 11-24 µm (d50 value), but with a narrower particle-size distribution than Alumet®. This produces a higher gloss effect, but at the cost of hiding power. A good choice for low-cost metallic-effect applications. AluLux® is a new product series of aluminium based effect pigments for the application in different UV coating technologies. AluLux® includes metal effect pigments with different treatments which meet the requirements of waterborne UV coatings as well 100% UV coatings (with/without organic solvents). These white-spirit/aromatic-solvent-containing, standard non-leafing aluminium pastes, with a regulated particle-size distribution in the range of approximately 14-22 µm (d50-Wert), are used in high-grade industrial coatings, but also in low-cost automotive topcoats. We are proud to present our new brand for automotive coatings suitable for OEM applications. Non-leafing aluminium pastes, containing white spirit and aromatic solvents. Moderately fine “Silverdollar pigments” in the range of approximately 8-24 µm. AluStar® UTM, the new effect pigment, makes reflecting, almost mirror like effects possible and has outstanding coverage. The Aquador® gold-bronze pastes are stabilized, water-based pastes based on the Luminor®, Unicoat® and Multiprint® pigment ranges. These pastes are successfully used for water-based industrial and decorative coatings as they are VOC free. The Aquamet® product range includes water-based, non-leafing aluminium pastes based on Alumet®, Alucar®, Alubright® and Alushine®, i.e both Cornflake and Silverdollar qualities in a particle-size range of approximately 11-56 µm. The Aquamet® NPW and Aquamet® WPO versions are stabilized using phosphororganic compounds and contain water as binding medium. The Aquamet® CP/BG pastes contain pigments with an inorganic coating and butyl glycol as water-miscible solvent. Aquamet® products are used in numerous water-based applications. The specific choice of product depends on the binder, substrate and the required film properties. Our application-technology experts will be pleased to help you select the optimal product for your application. These are VOC free, stabilized leafing aluminium pastes, available in a particle size of approximately 10-20 µm. They are used for all industrial, decorative and functional, water-based coating applications which require a high-grade, metallic chrome effect. The Constant® product group consists of gold-bronze and aluminium powders with an inorganic coating. Their resulting high thermal and chemical resistance makes them suitable for use in plastics (masterbatches), in particular, but also coating systems that are sensitive in their reactions. 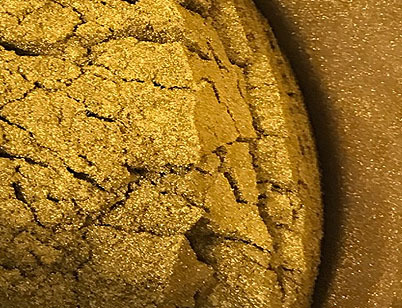 The gold-bronze pastes of the Constant® ON group contain gold-bronze powder, whose particles have received an inorganic coating, and paraffin oil as a binding medium. They are chiefly used in color concentrates which create visual effects in plastics. The coating endows with them high thermal and chemical resistance while the paraffin oil makes them very easy to incorporate in thermoplastic polymers. Decomet® is SCHLENK’s range of vacuum metallized pigments, in other words those aluminium pigments which are not produced using the classic grinding process, but rather by the removal of an aluminium film from a support upon which it had been deposited by a PVD process. This method gives the pigment particles an extremely smooth surface which reflects light. 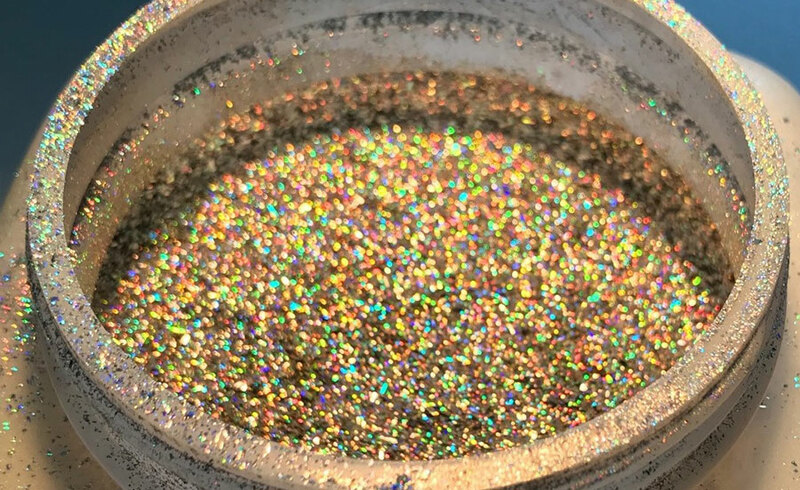 Coatings containing this pigment have a glossy metallic appearance and, depending on the composition, are described as having a “chrome effect”, “platinum effect” or “stainless-steel effect”. VMP particles are much thinner than classic aluminium pigments and have better covering power, a fact which needs to be taken into consideration during formulation. Decomet® can be used in conventional, water-based and UV-curing coatings systems. SCHLENK manufactures Decomet® pigments (VMPs, vacuum metalized pigments) in a vacuum. Due to this manufacturing process (physical vapor deposition), they are extremely thin (in a low, two-digit nm range) and highly reflective. Polished aluminium or stainless steel effects can be achieved with this pigment in coil coating applications. EM aluminium pastes are standard, white spirit-based leafing materials and come in a particle-size range of approximately 10-20 µm. They are mainly used in decorative and industrial coatings and, in particular, for functional coatings which require a high degree of barrier protection (corrosion-protection coatings) or high light-reflecting properties ( e.g. roof coatings). Grandal® pigments are granulated, pellet-shaped, solvent-free, leafing and non-leafing aluminium pigments containing urea-aldehyde-resin binders. They are easy to dose and, due to the pre-wetting with a universally compatible binder, are also very easy to disperse. Grandal® P is a product group that has been specially developed for use in plastics. As with conventional Grandal® products, these special pigments are also solvent-free granulates that use polyethylene wax as a binder. The granulates produce no dust during handling, are simple to measure and are very easy to incorporate in thermoplastic polymers due to pre-wetting with PE wax. Luminor® is a relatively coarse gold-bronze group of products with a particle-size range of approximately 16-50 µm. They are used in both brilliant industrial coatings and in decorative applications, as well as in the plastic industry. For sensitive coating systems, we recommend the use of Constant® qualities. Metaface® aluminium powders that provide high brilliance, good coverage and excellent printability. They are available as powders, water-based pastes or UV pastes. MultiFlect® effect pigments exhibit polychromatic light sparks when perceived under directional lighting. It provides a perfect combination of polychromaticity and cost efficiency. The Multiprint® is a fine, gold-bronze product group with a particle-size range of approximately 4-10 µm. It is also used in the coating industry to achieve high-quality gold effects. ON pastes (both gold-bronze, but also leafing and non-leafing aluminium pastes) were specially designed for use in thermoplastic plastics. The solvent paste is paraffin oil which guarantees an excellent and dust-free incorporation into the polymers. Polytop® are conventional, i.e white-spirit/aromatic-solvent-containing, non-leafing aluminium pastes. A wide particle-size distribution ensures good covering power. They are referred to as “economy qualities” and are therefore chiefly used in general industrial coatings. Special aluminium pigments for use in powder coatings. 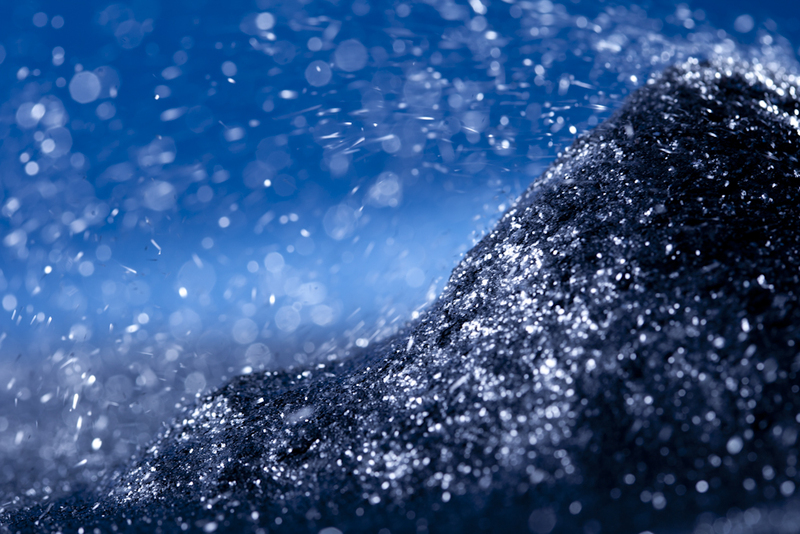 The Powdal® product group comprises extremely brilliant, leafing pigments in the particle-size range of approximately 6-20 µm and non-leafing pigments in the particle-size range of approximately 11-75 µm. Powdal® non-leafing pigments come as uncoated and coated pigment powders. Whilst uncoated pigments are an interesting, cost effective alternative, SiO2-coated products are primarily recommended for powder coatings. Their advantages are, above all, ease of electric chargeability and increased endurance. Special aluminium pigments for use in powder coatings. Powdal® HC offers a new optical effect for the coated non-leafing aluminium powder segment. The effect pigment is based on a thin non-leafing silver dollar pigment. Silica encapsulation in combination with a special surface treatment allows for the realization of exceptional silver chrome effects also in powder coating applications. Powdal SDT pigments are suitable for a wide variety of application areas. The strict colour stability requirements for powder coating pigments used in construction and architecture were followed as Powdal® SDT was developed. Powdal® XT are silica encapsulated pigments for powder coatings. Powdal® XT pigments are suitable for high-quality indoor applications that require higher chemical resistance. Non-leafing aluminium pastes that contain white spirit / aromatics. Silver dollar and corn flake pigments in a range of approx. 8 56 µm. This product group includes pigments with a range of characteristics from outstanding coverage capacity to attractive sparkle. SilverCoil products are characterized by a high degree of color consistency in coil coating systems. Non-leafing aluminium pastes that are polymer-coated and contain white spirit / aromatics. Silver dollar and corn flake pigments in a range of approx. 14-34 µm. SilverCoil XT products are characterized by outstanding chemical resistance and excellent color consistency in coil coating systems. Standard aluminium powders are uncoated, non-leafing pigment powders that can be used by the coating and plastics industry wherever traditional paste solvents are problematic due to incompatibility or because of their unsatisfactory dissolving characteristics. For safety reasons, the use of pastes is recommended. Medium-fine, gold-bronze products with a particle-size range of approximately 6-14 µm. They are used for industrial coatings, decorative-effects and plastic applications.